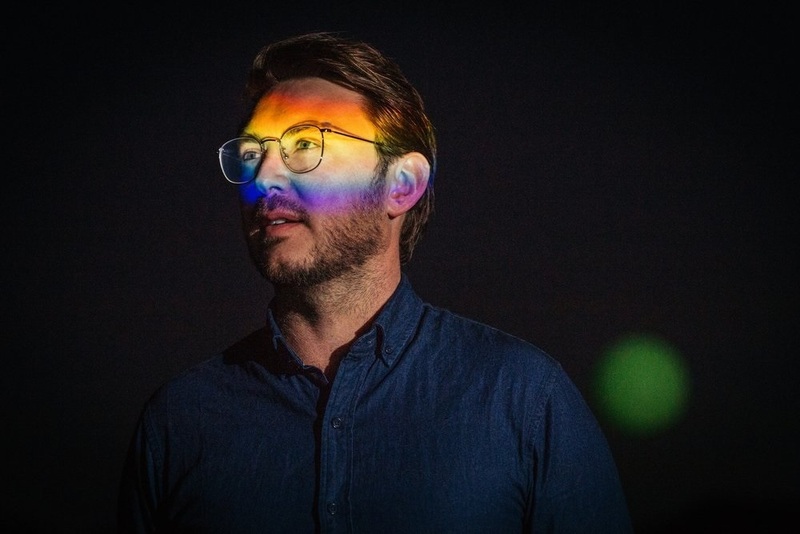 Australian singer-songwriter Dustin Tebbutt followed up his 2016 debut album First Light this year with single ‘All Your Love’ co-written with electronic duo Flight Facilities. That tune has been stripped back to just Tebbutt’s delivery, acoustic harmonies and folk sensibilities to feature on his new EP Chasing Gold out now. We chatted to Dustin about his music. To me, [Chasing Gold] kinda feels like flipping through an old box of memories whilst moving to a new place. We always had instruments around the house, my dad played a lot of guitar, and there was an upright piano in the living room, and also a drum kit in the garage, so I think it was always a familiar thing. Dad started teaching me some blues stuff, and a few other friends had started learning instruments too, so it kinda crept in and pretty soon I was playing everyday. Early on I was listening to a lot of guitar music, classical flamenco stuff, also the Blues, Hendrix, Stevie Ray Vaughn, also the Verve, Jeff Buckley and Radiohead. I think through those guys I started getting into songs. I’d say it’s cinematic folk? I like to think it’s quite visual music in that I try to create landscapes and spaces with all the layering of sounds. I think it would be awesome to work with Caribou, he’s got a really interesting approach to blending acoustic and electronic music. His tracks are so vivid and powerful, I think I could learn a bunch from him. You recently worked with Flight Facilities on single ‘All Your Love’. How did that come about? I’d emailed the guys around the time my last record came out with the idea for them to do a remix, and they came back wanting to write something from scratch, so we did that. We were kinda coming from different ends of the spectrum genre-wise, but they brought so many great ideas to the table, stuff that I was never going to come up with in folk land. I love this song, so much so I recorded my own version for this EP. It was really cool to hear my vocal in that context, and see how my writing translates in another production context. What was the response to ‘All Your Love’? I think it’s been great, I joined them for a few of the shows on their last Aus tour and by that stage, after a few months of being out there, the crowds were singing every word. It was a really incredible experience. I think a lot of the feedback from releases gets lost these days online, or maybe you kinda get a bit de-sensitised to some of that stuff because of the relentless nature of social media, but seeing that connection there at those shows was pretty special. You also collaborated with Lisa Mitchell, co-headlining a national tour. What did you learn from Lisa? I learnt that I’m not alone in all of the things I go through, worry about or enjoy as an artist. As a solo act, it can be a bit isolating even when your around people cause at the end of the day it mostly falls on your shoulders to make things happen. Often you wonder if you’re the only one who doesn’t feel like you should be where you are – that “imposter” syndrome kinda thing – so sharing that tour with her was amazing, as I felt like there was someone there right in the drivers seat. Tell us about your new EP Chasing Gold. What are its themes? This record is really about the way we love, it’s not a about a single relationship or anything like that, but more a collection of stories that touch on facets of human relationships from loss, isolation and regret to euphoria, vulnerability and courage. To me it kinda feels like flipping through an old box of memories whilst moving to a new place. It was written over the course of a few months, partly in the UK and Europe, where I did a bunch of co-writing before coming back to Aus to record everything in the studio I built at my parents place. It was a bit of a patchwork, with some of the songs coming out of collaborations like ‘Innerbloom’ and ‘Atlas In Your Eye’ which was written for a film. I was really just trying to write a bunch of songs that could standalone without the context of a record around them. How does Chasing Gold build on your style? I think my process with this one was to try get back to writing songs instead of making things in the studio which is how I’ve approached it in the past. It pushed me to write more and be more focused on getting that part right before starting to record anything. Development wise, I think it’s been a more refining process than throwing the plans out the window and starting again. I guess some artists build a story by re-invention, while others are content developing in subtler ways. I think I’m the latter. ‘Satellite’ - A song about being held in limbo by someone, and wanting to know where you stand, but them not letting you get too close, or too far away. I wrote this song with a friend while I was in Amsterdam touring, and that part of being a musician can be kinda isolating sometimes, but I think in this case that distance from home helped me craft the feelings in this one. I’ve always been a bit obsessed with space and I really like how well metaphors from that world are woven through this story. The video clip for this one was really fun and challenging, as we had the task of lifting eight people seamlessly into the air. ‘Chasing Gold’ - Probably my favourite track of this EP, writing the chorus was a really raw and honest process for me about those occasional moments when you’re reminiscing but at the same time projecting forward, or get clarity on the shape of your life and how it’s unfolding. I feel like it sums up a universally human theme even if it is from a hyper-romantic viewpoint, and the driving rhythm keeps the song feeling nostalgic without leaning on despair. ‘Satellite (ii)’ - I wrote this one with Tom Rosenthall in London, he sat down at the piano and started playing this rumbling magic piano line. It wasn’t long before we had the melody pinned in over the top and the words just seemed to slot into place. It’s a track about loosing contact with someone, perhaps by death or distance, or circumstance. ‘Love is Blind’ - This is a song about meeting someone that teaches you how to look at things in a new way, through the way they live and love. ‘All Your Love’ - This track came out of a collaboration with Flight Facilities earlier this year and looks at the euphoric side to a relationship and how the early moments of one developing kinda get wrapped in a nostalgic glow that sits there nicely underpinning everything from then on. ‘Inner Bloom’ - Lisa Mitchell and I did a co-headline tour last year and as part of it we performed this version of the stunning Rufus track. We enjoyed playing it so much that we went in the studio to record a version as well. ‘Atlas In Your Eye’ - This track was written for the film Jasper Jones, which came out last year. This song came together in the car on the way home after watching an edit of the film for the first time – and the following day, Craig Silvey (who wrote the story as a book originally), sent me a poem, which I was able to work throughout the lyrics. It’s about trusting your own instincts in the world and taking control of your own path. What are your hopes for ‘Chasing Gold’? I hope people are listening to some of these songs in five years… that would be nice. I guess I’m really stoked that I got to make it – everything from here on in is a bonus. What are you plans for the rest of 2018? I’ve been working on a bunch of music with other people, and also started another record of instrumental music…We’ll see if it stays that way haha. I might not be able to resist the temptation of words. Any early thoughts on 2019? There’s a bunch of stuff happening next year, with some touring and the next release starting to come together… but I’m just enjoying sharing this one for now. I would probably try to go back 5 years ago when I was starting out as a solo artist. I was so worried about what the future would hold, and if I was going to be OK and find a way to have a career as a creative person. Granted, it gave me some drive, that fear of failure, and I still use that today but it was so constant and really exhausting. I think because of that, I missed out in really being present for some amazing moments. Luckily I feel a lot more at ease now, and can appreciate what I’m doing when I’m doing it more. Watch the video for ‘Satellite’ on YouTube below. For news and tour dates go to dustintebbutt.com.